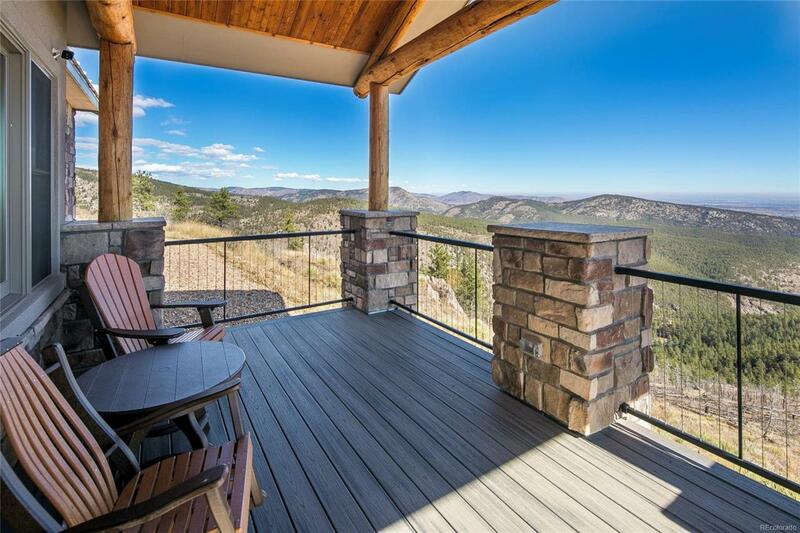 Views abound from this nearly new custom mountain home built in 2016. 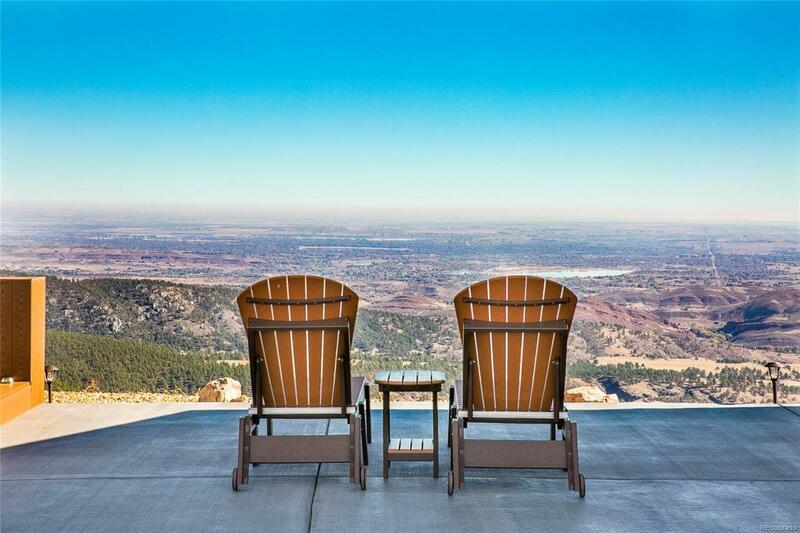 This 35 acre property is located at 6800 feet in elevation with 270-degree views looking East and West! 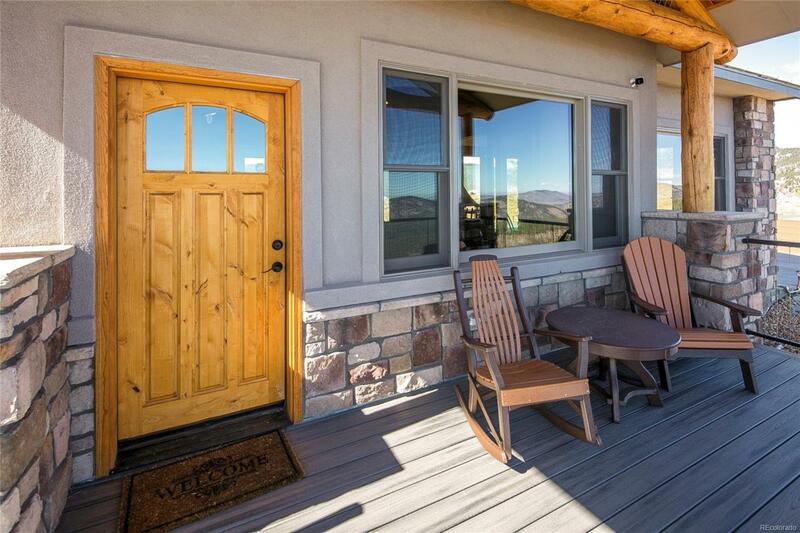 Custom finishes throughout including reclaimed barn-wood cabinetry, quartz countertops, and stone tilework. Over 2000 sq ft of patio includes outside dining area accessed by accordion sliding doors, 8-person hot tub, and built-in firepit. 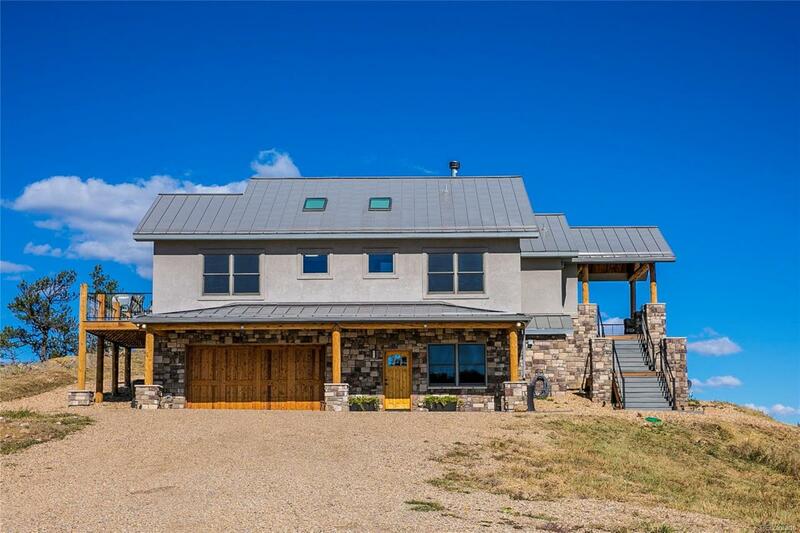 There is also a 2-story barn with over 1500 sq ft of additional finished space!